Today I’m going to talk about one of my favorite mangas. I know I have a lot, but this one I love very much and is in my top ten. The manga I’m talking about is One Piece! When it first came on at 4kids on Sunday mornings I didn’t like it. There were so many things cut out and changed that I didn’t know how amazing it is! I started watching it after my brother showed me a video of this amazing fight between Monkey D. Luffy and Rob Lucci, one of the enemies in the series, and it was great! It was from there that I caught up with the manga, which was over 400 chapters at the time, and I enjoyed it so much! There are so many things in One Piece that I enjoy so much! There’s the way that everyone joined Luffy’s crew that’s called Strawhat. It was all in their own way and it was very heartwarming too. I really enjoy the variety of everybody on the crew from Luffy, their captain, who cares so much for his friends and family and he’s a rubber man. Zoro, the swordsman that is an awesome fighter, but can get lost in a minute. Sanji, the cook that always fights with Zoro and loves the ladies of the ship. Chopper, a reindeer that ate the fruit of their world that made him human and became the ship’s doctor. Franky, a cyborg that is also a shipwright and I love the way he can be so energetic. Robin, an archaeologist that’s looking for the world’s history and ate the fruit that can cause multiple hands to grow out of their body. She can make multiple hands too. Nami, the navigator that makes sure they can lead them and can’t forget her love of money! Brooke, the musician who ate the fruit that gave him a second chance of life as a skeleton. I love that he has an afro, can play music, and is a skilled swordsman. Of course, I can’t forget the amazing captain Usopp! He’s a sniper and has helped to fix the Merry, their first ship, many times before. He’s an amazing artist too. He may be a coward, but he can also be one of the bravest people there is and make sure that nothing happens to their crew. 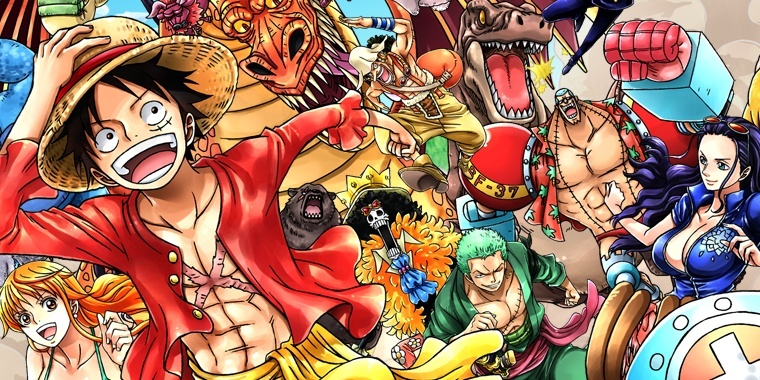 These are only generalization of the crew because if I really go into why each one of the Strawhats differences work so well in their crew this post would be much longer. That’s one of my favorite things about One Piece, how everyone from these different backgrounds can come together and work so well. It has to be the first show I’ve watched where I like everyone in the main crew! Then there’s the amazing world with the Devil Fruit, these pieces of fruit that tastes very bad, but gives the person amazing powers. Luffy, Brooke, Chopper, and Robin all ate a different fruit. Luffy ate a fruit that made him a rubber man, Brooke ate a fruit that gave him a second chance of life, Chopper ate a fruit that made him human, and Robin ate a fruit that gave her the power the sprout different limbs anywhere. If anyone eats a fruit then they can’t swim in the ocean. That’s one of the downsides of eating it, but the powers are really amazing. I love the way One Piece shows different things too such as government cover ups with the recent arc, prejudice in the Fishman Arc, accepting others and changes in the Enies Lobby arc, and many more. Some people don’t like the art or the length, but those are things I enjoy! It just reached it’s 800th chapter this week and it ended in a very nice way. I can never guess the way the story is going like I can with other things, it’s very refreshing. It keeps me guessing because I never know what’s going to happen next. I know the length scares people, I assure you it’s nothing to be afraid of. You can break it up into parts and read it like that, that’s what I did. It was a well worth read. I really do recommend One Piece. There’s action, adventure, heartache, heartwarming scenes, and everything in between.